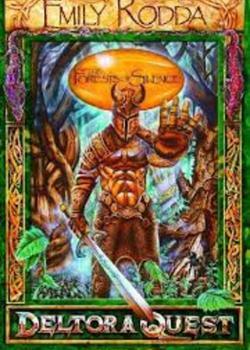 "Deltora Quest was written by the great author Emily Rodda, The first book in the series is The Forest of Silence. In the quest for the first jem, the Topaz which has the power to calm, show spirits and ward of evil spirits. I love the encounter of dark creatures, power hungry personages and the strange surroundings. Each stone has it’s evil unwanted guardian, that get towards the end of the quest. Emily Rodda has got me hooked on to the series, she is a great author try her books and see if you like them. Emily Rodda has wrote lots of other books as well, if you don’t like Deltora Quest try another one and see if you like it."